The International School of Nanshan Shenzhen is authorized as an IB World School and offers the International Baccalaureate (IB) Diploma Programme (DP). The Diploma Programme (DP) at ISNS is a rigorous and expansive curriculum that focuses on developing a globally responsible and well-rounded student. It is an intensive two-year programme for students aged 16 to 19 (Grades 11 and 12). During this time, students will engage with a variety of courses including: humanities, mathematics, experimental science, arts, language and literature, and language acquisition. The focus of the DP is to allow students to explore their interests in an in-depth and challenging manner. To facilitate this process, students will complete essays, reflections, commentaries, and experiments that contribute to their overall understanding of their courses. As a result of this programme, our students emerge as well spoken, compassionate, and insightful individuals who are active and life-long learners in our intercultural community. At ISNS, we offer a wide variety of DP courses to suit students of all backgrounds. 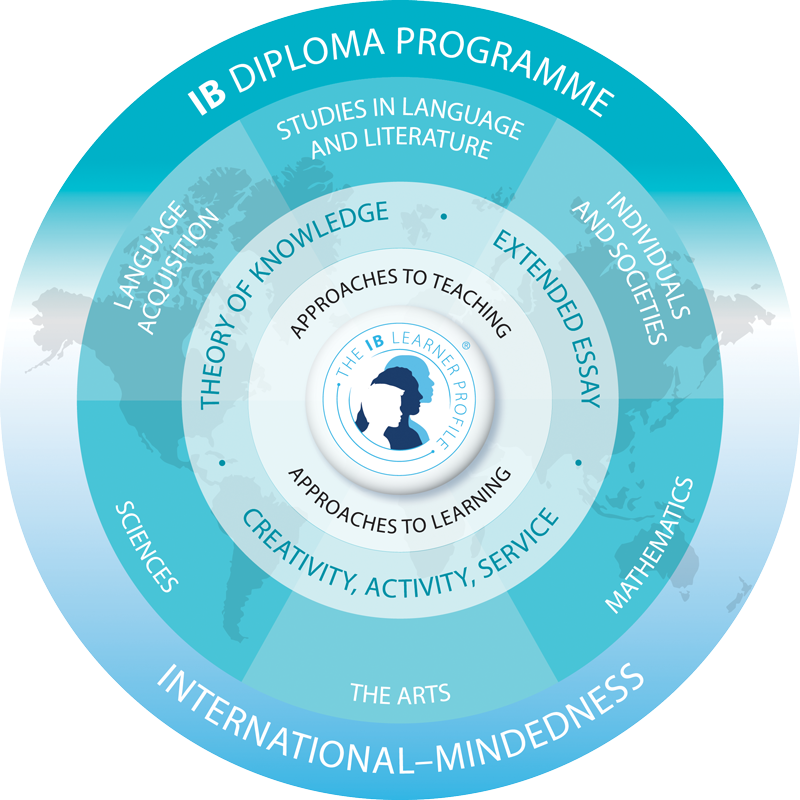 In order to achieve the prestigious IB diploma, a few requirements are necessary. Students must take six courses in different subjects over two years, of which three must be at a higher level. In addition, students must also take three required core courses. These three courses, Theory of Knowledge, the Extended Essay, and CAS (creativity, activity, and service) allow students to balance their intensive academic workload with real world issues. Theory of Knowledge challenges the students to examine their own perspective and its influence on their world. The Extended Essay is an independent research essays that allows students to explore real world topics that interest them. Finally, CAS allows the students to give back to the community by moving their education outside of the classroom and into world. By following this well-rounded framework, centered on the IB mission in the form of the IB learner profile and enhanced by ISNS’ own programmes, our graduates are fully prepared for further studies at the best universities in the world.